Several samples of brown ring patch found their way into the Plant Diagnostic Laboratory this week. 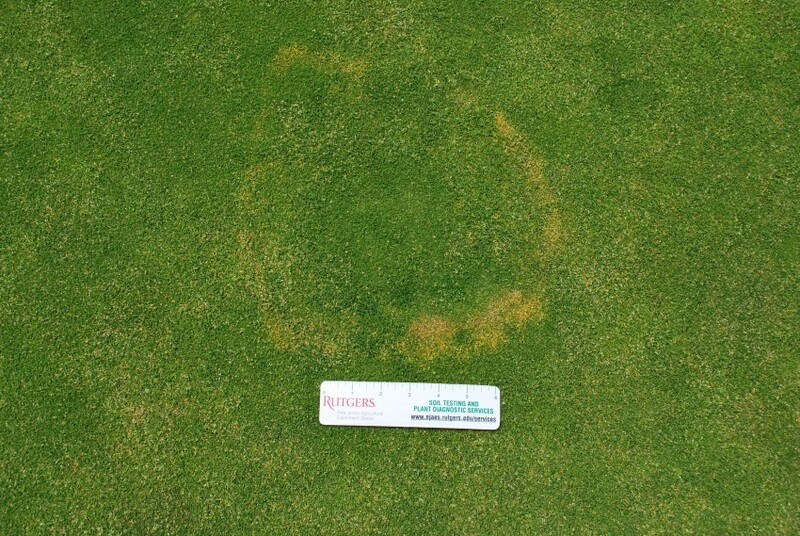 Sometimes confused with take-all, fairy ring, or yellow patch, this relatively newly described malady of Poa annua putting greens is caused by the fungus Waitea circinata. 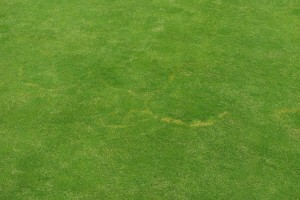 Brown ring patch causes rings of yellow grass that appear much like those caused by Ceratobasidium cereale (syn: Rhizoctonia cereale), the fungus that causes yellow patch (aka: cool-season brown patch). 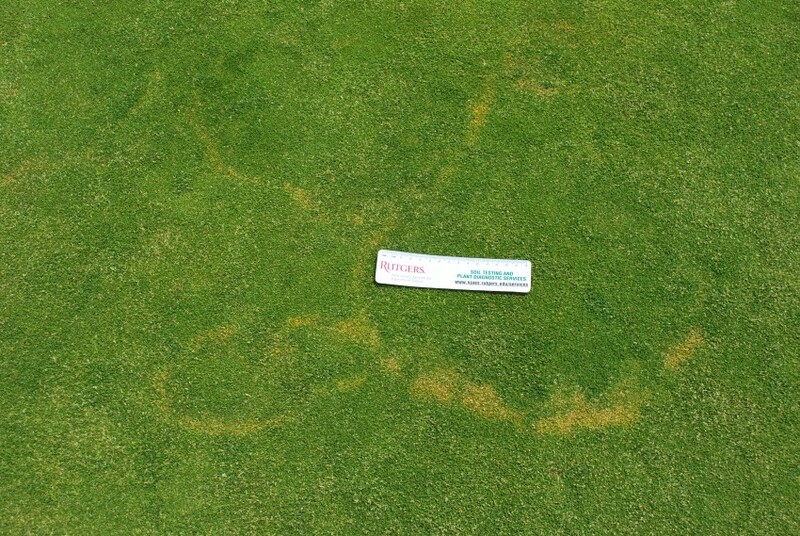 Yellow patch, however, occurs at a much lower temperature threshold than brown ring patch, and despite what seems like a cool spring, we are largely beyond the 40ºF to- 60ºF range suitable for that disease. 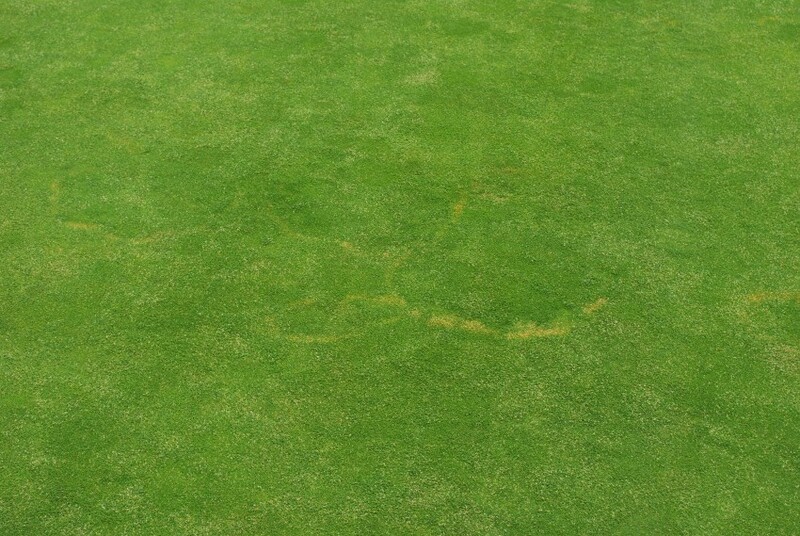 Brown ring patch is very similar to yellow patch in many ways, but has a higher temperature threshold (50ºF to- 95ºF) and does a little bit more damage. The rings caused by brown ring patch are yellow, like those of yellow patch, but often have scalloped edges and are dynamic – they seem to move around the site from day to day. 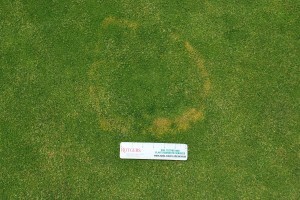 Brown ring patch, in contrast to yellow patch, may be associated with stimulated turfgrass and if left untreated can result in dead grass. 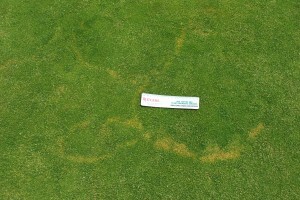 Disease activity appears to increase after rain but is more severe in drier soils and at lower cutting heights, especially under low fertility. Research trials suggest that additional nitrogen fertility can aid in the recovery of affected sites. In fact, applications of Primo Maxx® in combination with nitrogen BEFORE symptoms occur resulted in substantially less disease and improved turfgrass quality compared to untreated controls. When adequate nitrogen fertility is in place, fungicides also seem to perform better. As for fungicides, the following materials have shown good efficacy in several research trials: azoxystrobin, fludioxonil, flutolanil, metconazole, polyoxin-D, propiconazole, and triticonazole. Combinations have sometimes provided better control than individual materials.